The Hotel Puerto America was a unique project combining the work of noted architects and designers, each of its twelve floors created by a different designer. Jean Nouvel participated in designing the building and one of its floors, while other contributors included Zaha Hadid, John Pawson, Arata Isozaki, Ron Arda, David Chipperfield, Plasma Studio and Norman Foster. Each designer was given complete freedom within the general layout of each floor. 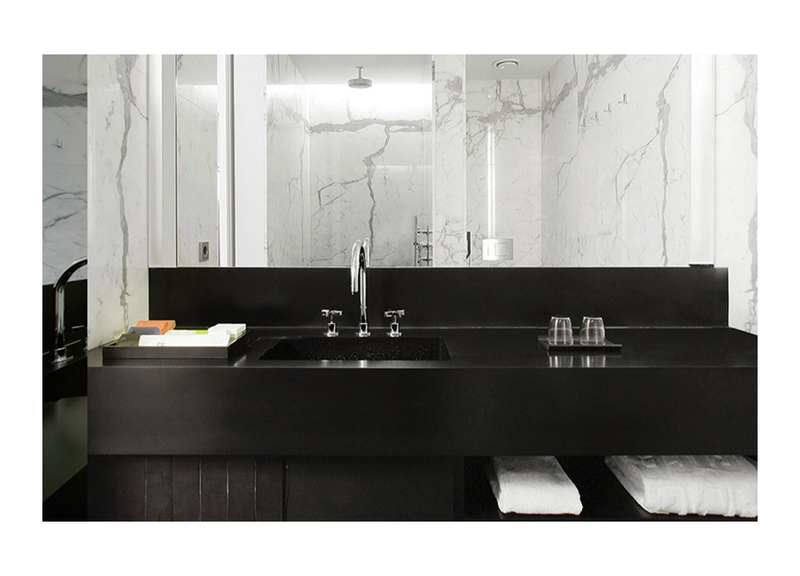 Sir david Chipperfield chose the co-designed collection with Czech & Speake for the bathroom fittings, resulting in a characteristic sleek, modern interior design. You can see the entire DCA/FSD collection here. The Silken Puerta América is an idea of freedom realised, a meeting place where different cultures and ways of interpreting architecture and design come together. This hotel on Avenida de América is a project that breaks new ground by using different colours, materials and shapes. A 5-star hotel that introduces guests to bold, innovative spaces, very different from the norm.